Nothing quite says summer like a day spent soaking in sun at the beach. No matter which coast is calling your name, there’s a beach out there that has a little something for everyone. From the windswept dunes of South Carolina, to the meandering coastal cliffs of Laguna, a short Uber ride from the city is the only thing standing between you and sand beneath your toes. We’ve put together a list of some of our favorite beaches around the country to kick up your feet and relax. 1. Laguna Beach, CA – Just 20 minutes from the heart of Orange County, Laguna Beach is a hidden gem nestled along the hilly landscape of Southern California. 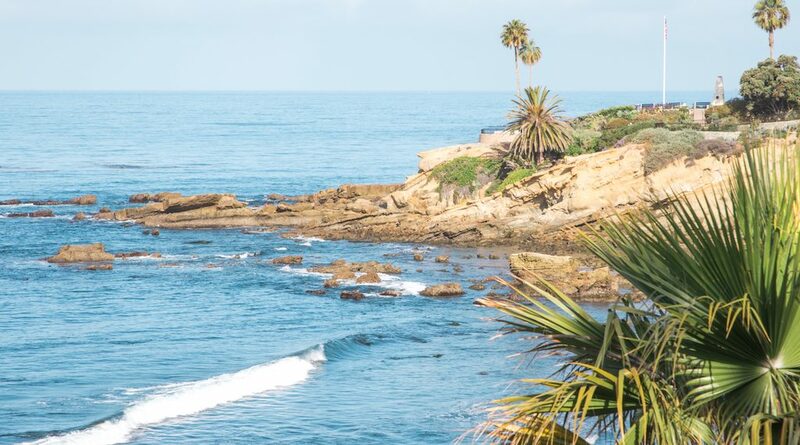 Long known as an artist’s escape, Laguna Beach is home to idyllic coastal views as well as The Pageant of the Masters and the annual Sawdust Art Festival. Be sure to grab an Instagram photo with the infamous Town Greeter statue of Eiler Larsen before claiming a piece of sand at Main Beach for some relaxation and excellent people watching. 2. Baker Beach, San Francisco, CA – Feel like going to the beach and seeing the Golden Gate Bridge at the same time? Perched on the San Francisco peninsula just minutes from downtown, Baker Beach is a cozy and idyllic setting for anyone seeking escape from the hustle and bustle of the city. 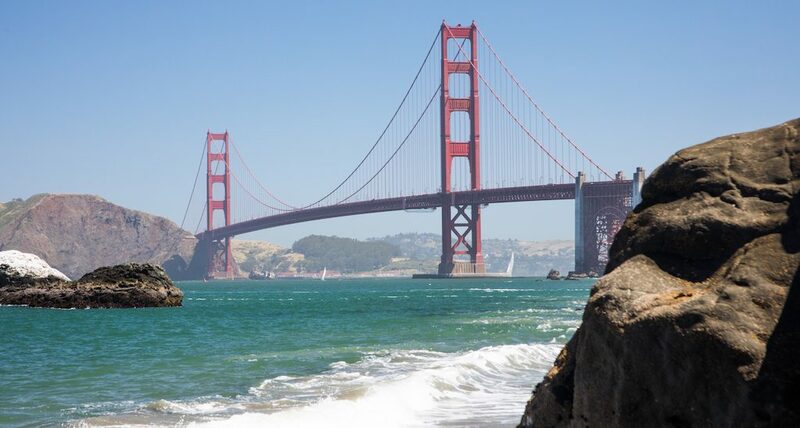 While the water can be a bit chilly, there are plenty of stunning views to take in as the famous orange of the Golden Gate looms in the background, connecting the city to the picturesque hills of Marin. 3. Folly Beach, Charleston, SC – 11 miles from downtown Charleston sits the “Edge of the World”, Folly Beach. Interested in some of the best saltwater fishing in South Carolina? 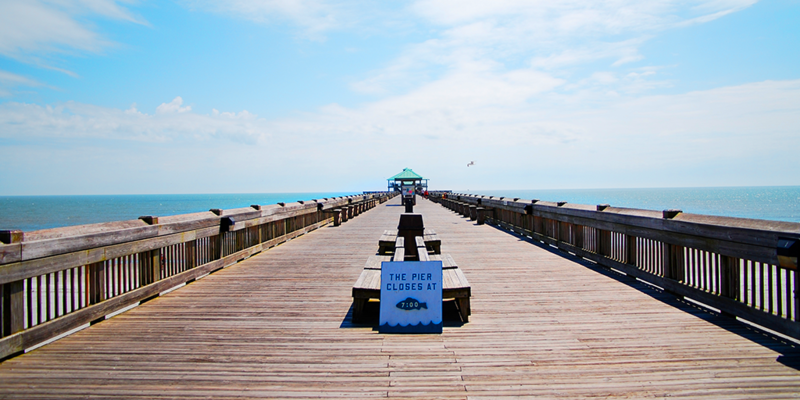 Head over to the beautiful Folly Beach Pier and grab a bite to eat at Locklears Beach Grill if you don’t get any bites on the line. For those looking to get a bit wetter, grab a surf lesson at Washout or just watch the locals put on a show as you soak in the scene. 4. 31st Street Beach, Chicago, IL – Not all great beaches need an ocean. On Chicago’s South Side along the coast of Lake Michigan sits 31st Street Beach. 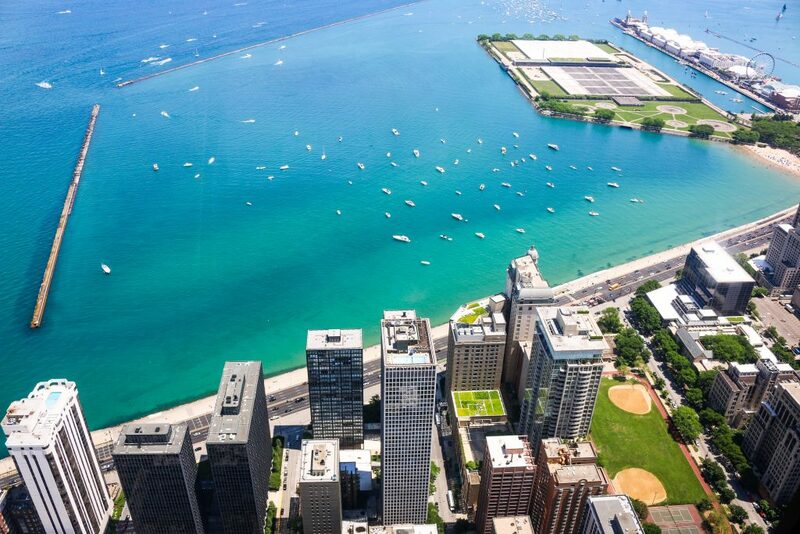 With stunning views of the picturesque Chicago skyline, it’s the perfect place for people of all ages to unwind from the hustle and bustle of the Windy City. Relax on the sandy shore or lose track of time as you watch the boats pass in and out of the harbor. Got little ones looking for a distraction? The Seussian playground will keep them busy for hours as you relax with the other beach goers. 5. 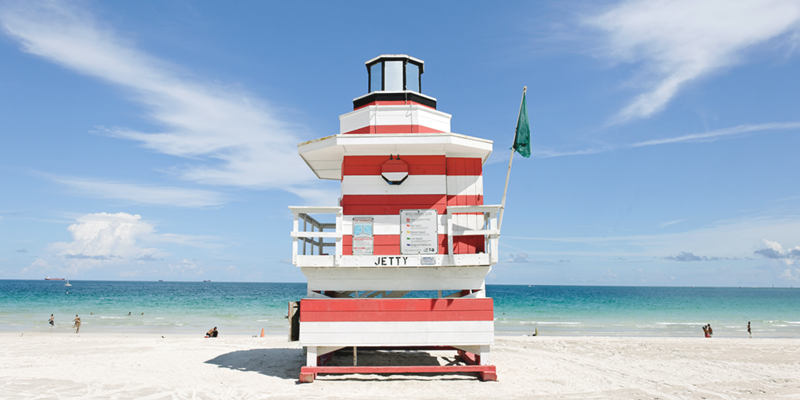 South Beach, Miami Beach, FL – With its Art Deco inspired architecture and a vibrancy that seems to permeate all aspects of life, South Beach Miami is truly a beach that needs to be seen to be believed. Whether it’s grabbing a Cuban sandwich from Versailles in Little Havana, or checking out the nightlife that never sleeps, South Beach has a little something for everyone, both day and night. Escape the hustle of your city and kick off summer at your favorite beach. No matter where the long weekend takes you, count on Uber for safe and reliable rides all season long.